I follow it with the repudiation. In other words, another Internet nutter whose entirely inflammatory contribution we can dismiss immediately. 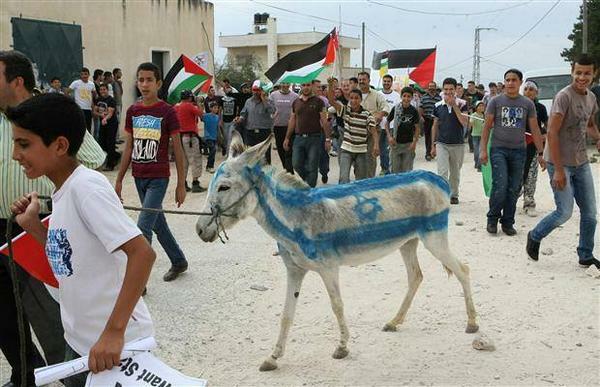 Except that some people will not have done the extra couple of clicks to discover this is entirely malicious nonsense, so the poor scapegoat donkey being “stoned to death by Arabs” stays with them as a reality. For the last year, thousands of households have endured the misery of the bedroom tax. 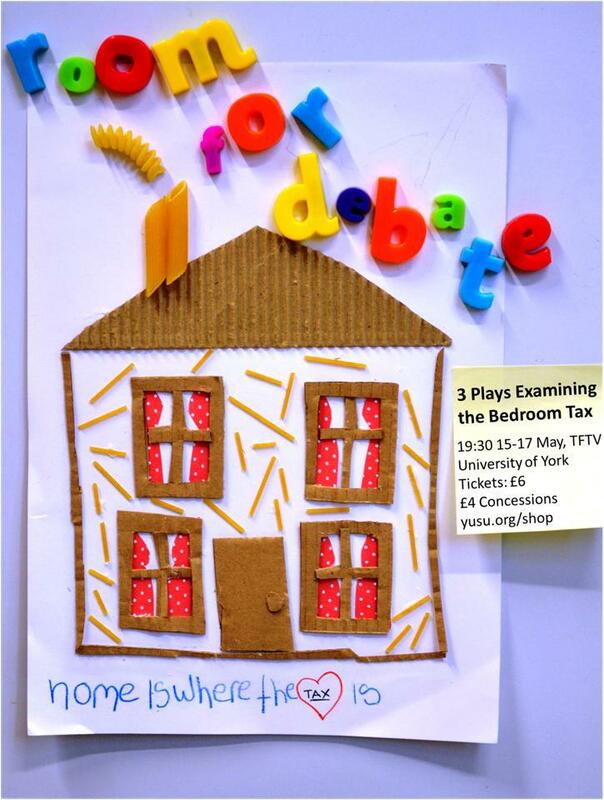 This week, second year Writing, Directing and Performance students at the University of York present an evening of three original half-hour plays, created from the true stories and real lives of the people involved in the controversial Bedroom Tax/Spare Room Subsidy. They even interview members of York People’s Assembly after our April bedroom tax action. The show is on for three evenings – Thursday 15th, Friday 16th and Saturday 17th May and tickets are £5 from the University website. The route for the “No More Austerity” demonstration on June 21st has been unveiled. 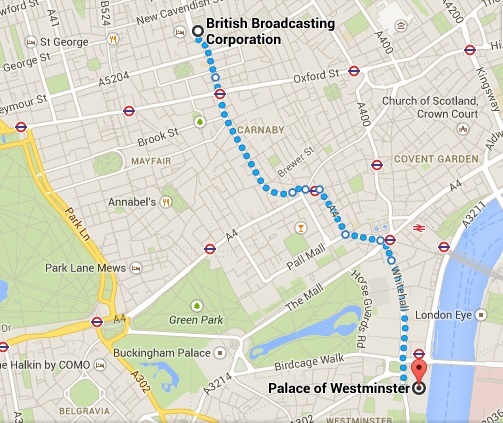 No backstreets and no detours: from the headquarters of the BBC and the Tax Dodgers on Oxford Street to Downing Street and the Houses of Parliament, the route is direct, visible and to the point. Tickets for our coach from York to the summer’s biggest anti-austerity event are selling well, so please book now so you don’t miss out!